“It was the best consulting experience that we’ve had here, and I’ve worked with quite a few consultants. There is need for campus planning consultants to work with campus staff to take academic ideas and come up with design solutions -- this is something Sasaki is very good at." 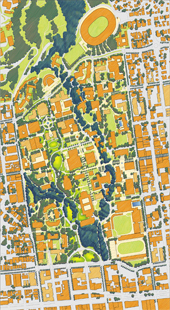 The need to address buildings susceptible to seismic damage presented the university with the unusual opportunity to undertake its first comprehensive master plan in over 100 years. 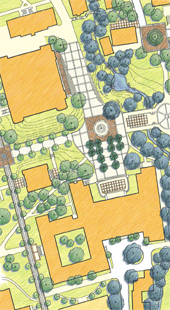 The New Century Plan guides the extensive revitalization of the campus by strategically and holistically defining buildings and open spaces and reclaiming the integrity of natural systems traversing the campus. 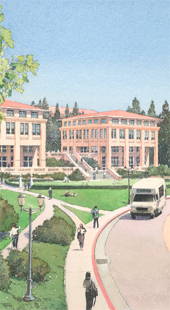 The plan delineates new building sites and edges to increase campus capacity, a ten percent net increase of more than one million gross square feet. The plan strengthens the spatial structure of the campus, creating new and improved public spaces that work with the challenging terrain. It also presents design guidelines for the implementation of building and civic improvements.